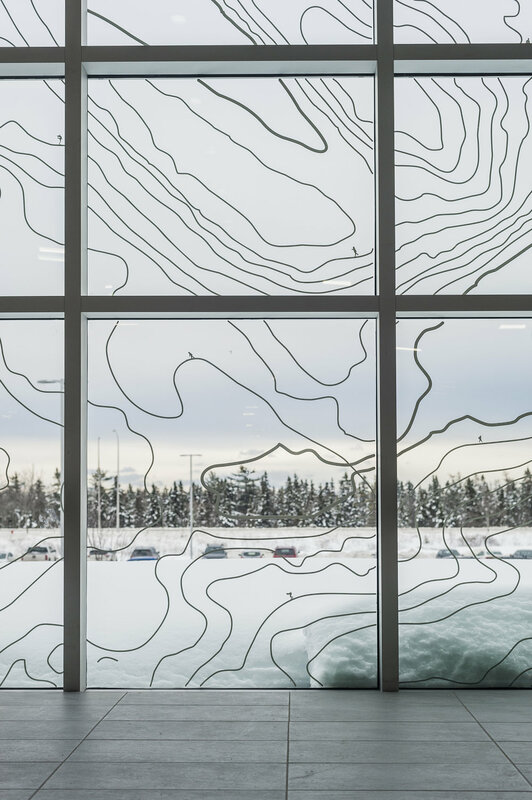 A topographical map highlighting various lakes throughout Dartmouth creates a beautiful pattern over the glass. These white lines from a distance give the observer a sense of the landscape that has so influenced skating throughout the history of Nova Scotia. 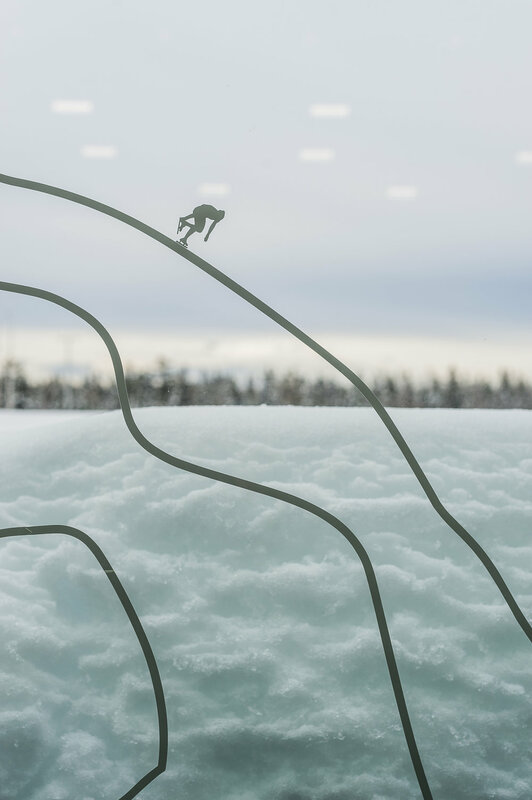 Closer up, observers discover another level of detail in the pattern; tiny skaters representing all ice sports and leisure gracefully trace the topographical lines.